Nestled at the foothills of the mighty Himalayas in the northern part of India, Uttarakhand is the perfect holiday destination for tourists seeking for a place to relax and rejuvenate themselves, in the lap of nature. 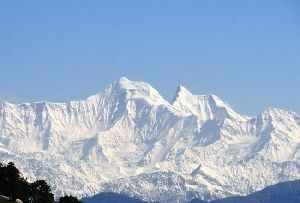 Tourist attractions in Uttarakhand include renowned pilgrim destinations, idyllic hill stations, wildlife sanctuaries, several glaciers, passes, meadows, and trekking routes. 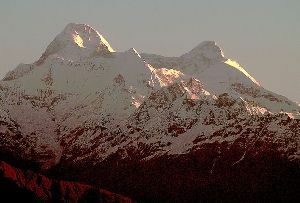 Glaciers in Uttarakhand form a major part of the tourist attractions in the state. 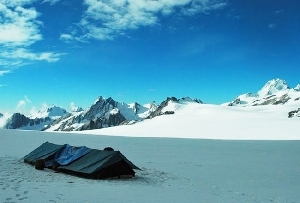 The Satopanth Glacier in Uttarakhand is one of the important glaciers from the tourism point of view. 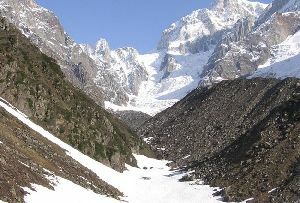 Satopanth Glacier and Bhagirathi - Khark Glacier originating in the upper Alaknanda basin, serve as a water source for the river Alaknanda. 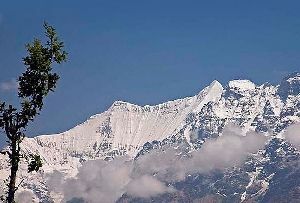 Located merely 17 km from the widely renowned temple of Badrinath, in the Chamoli District, these glaciers draw numerous tourists to Uttarakhand. The term 'Satopanth' is perhaps derived from two words - 'Sato' meaning heaven, and 'Panth' meaning path or way. 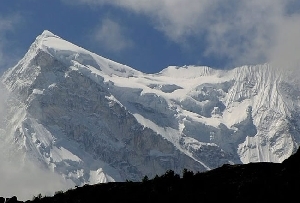 Satopanth Glacier originates at a height of 7000 meters from the peaks of the Chaukhamba (7068m) and the Badrinath (6974m) mountains. 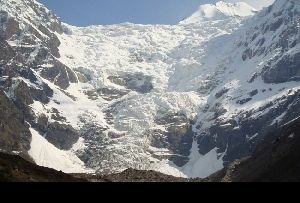 Spreading over a vast expanse of 13 km, this glacier melts into water at an altitude of 3810 meters. 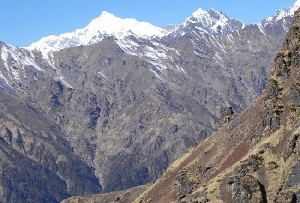 The Satopanth Glacier can be aproached from Joshimath in the Chamoli sub-division, by following the Badrinath and Mana (3128m) road. 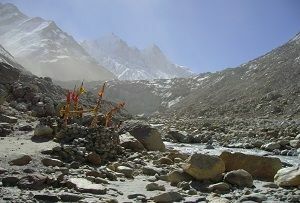 From Mana, the route follows the course of the Alaknanda River. At an elevation of 145 km, on the route, you will come across a water fall named Vasudhara, lying on the right bank of the Alaknanda River. 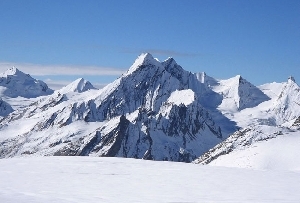 The snout of Satopanth Glacier opens at about 5 km upwards from Vasudhara. 2 kms down the valley, the left bank of the river offers good conditions for camping.